Spindles Family Fusinidae are as described, spindle shaped, elegant shells. All are elongated, with a many whorled spire (the coiled part of a gastropod apart from the body whorl that generally tapers to a point), a long straight siphonal canal and a smooth columella. Spindles have ornamental features which includes strong tubercles and vertical folds, spiral ribs and ridges inside the aperture. 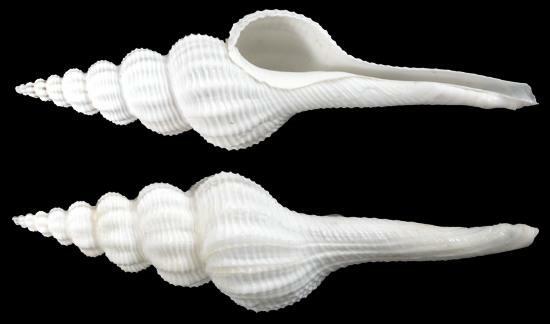 Some shells are long, thick and heavy, a few have left-handed spiral. Spindles are sea snails and live on sandy bottom sea floors among rocks and coral debris. They are carnivorous and prey on other small sea creatures.